The Volkswagen Beetle has been an iconic vehicle for decades. It was once a symbol for the counter-culture movement of the late 1960s and early 1970s. It was first produced in 1938, but didn’t see widespread production or growth until 1945 after World War II. Over the generations, the VW Beetle has gone through a variety of revamps and redesigns, so if you’re considering scouring used car lots looking for the right one, our team at Toms River Volkswagen is here to help. Drivers in Toms River, Brick, and Freehold looking for a used Volkswagen Beetle can easily find one on our lot. Keep reading to learn more about what you can expect with this iconic car. Then contact us to schedule a test drive! The VW Beetle has always been known for its economic performance. While it won’t win any drag races, it can keep you on the road longer and at the gas station less frequently than other compact cars on the market. The vehicle’s 2.5-liter 5-cylinder engine comes mated to a 5-speed manual transmission. It can produce an effective 170 horsepower and 177 lb-ft of torque while achieving an appeasing fuel efficiency. One thing you can enjoy from a used Volkswagen Beetle is its compact body and yet surprisingly spacious cabin. Like most vehicles in its class, it’s designed to carry five passengers comfortably. 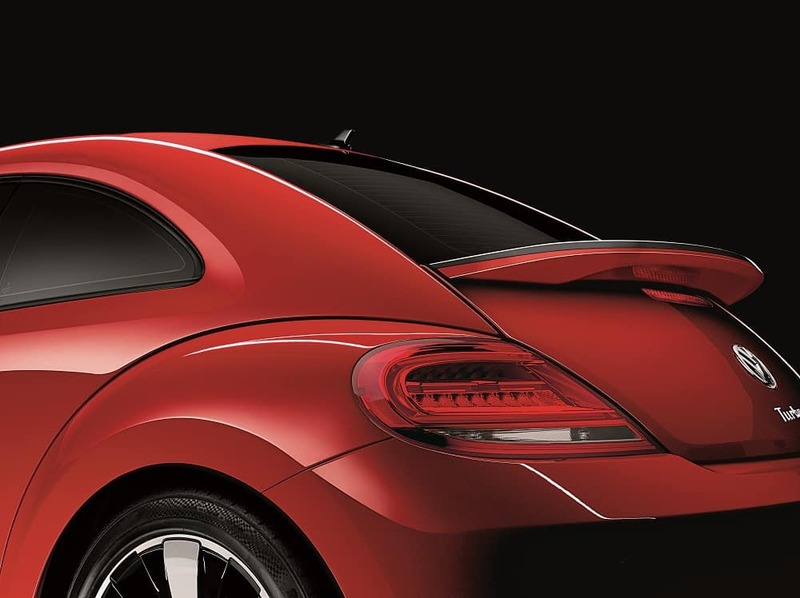 The VW Beetle includes 15.4 cubic feet of cargo space in its trunk. However, when the rear seats are folded down flat, the overall cargo space of the VW Beetle can expand to 29.9 cubic feet. Since most VW models are a little ahead of the curve, you can find a surprising assortment of sophisticated amenities and technology features within the cabin of a used Volkswagen Beetle. 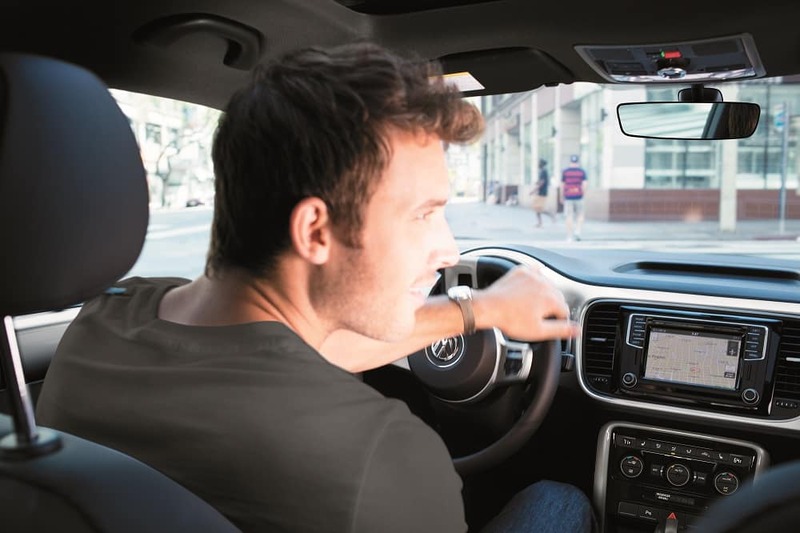 This includes an intuitive touchscreen display that allows for access to the media options like the CD player/disc changer, SD memory card in the reader, the AM/FM radio, or even the Bluetooth®-paired phone. The used Volkswagen Beetle also includes a Media Device Interface, which allows you to connect a portable media device like an MP3 player, which can not only play through the 8-speaker sound system, but can be accessed through the touchscreen—giving you the option to skip the tracks from the screen. At Toms River Volkswagen, we hope that this review of the used Volkswagen Beetle helped you get a stronger sense of this iconic model and what it offers. But while reading about it can certainly provide you with some context, you may find that coming in for a closer look can be the deciding factor you need to see how you feel about this vehicle. Of course, getting behind the wheel and experiencing it on the road could also be a push in the right direction. Check out our used car specials to ensure you’re getting our best price! When you’re ready, you can schedule a test drive with us at Toms River Volkswagen. We’re proud to assist drivers in Toms River, Brick, and Freehold in finding the used car that’s right for them!